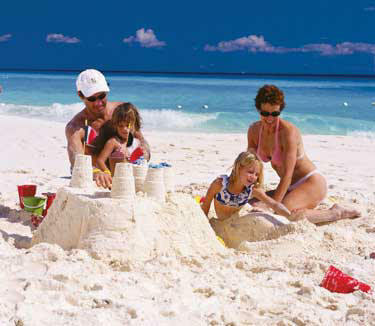 Cancun and Riviera Maya offer some of the world's finest hotels & resorts for families, all on gorgeous white sand beaches. 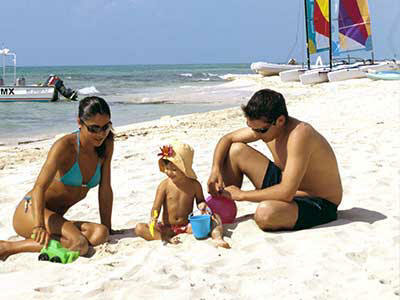 Your Cancun All-Inclusive Family Vacation or Riviera Maya Family Vacation starts here... Let our Cancun Vacation Specialists assist you in planning and booking the best family vacation in Cancun or the best family vacation in Riviera Maya. 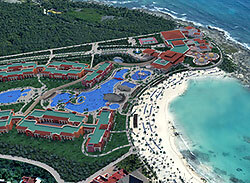 High quality luxury beachfront with Mexican character and friendly service. Lovely grounds and pool area. Food is excellent. 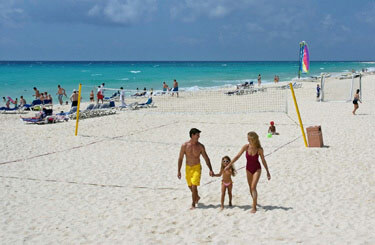 Located right on the beach and within walking distance to shopping, dining, and nightlife. This Gourmet Inclusive (GI) hotel offers guests a complete vacation experience designed to foster togetherness in an oasis of ocean views and contemporary Caribbean style architecture within the Riviera Maya, Mexico.. Unlimited activities and first-class service promise instant gratification for couples, groups, wedding parties, honeymooners, families and friends. You don’t need a special occasion to stay at Azul Sensatori Hotel; we have tailored the vacation experience to match your interests and desires. 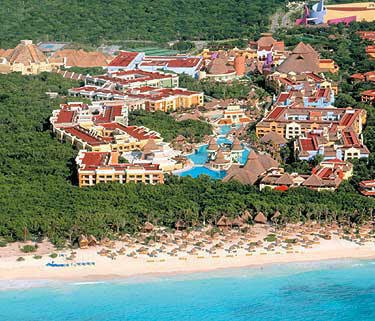 The all new Xpu-Ha Palace features 144 rooms, a stunning new pool with a swim-up bar, a kids club, water park and two kiddie pools, two a la carte restaurants, an open-air grill and three bars. 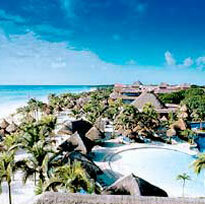 The extraordinary all-inclusive Xpu-Ha Palace Resort is proof positive that wilderness and luxury can co-exist. This eco-friendly resort has been redesigned to offer a more intimate and personalized experience. Families with children and nature-lovers of all ages will find this 37-acre jungle paradise to be a unique, one-of-a-kind vacation experience. FREE PALACE PASSPORT & Stay at one, enjoy all Palace Resorts. Azul Beach Luxury Boutique Hotel All-Inclusive | Riviera Maya Ideal for families with small children, this intimately-sized getaway offers impeccable service, innovative cuisine, stylish décor and unique amenities! Special Touches for the Little Ones: You'll find strollers, cribs, baby milk heaters, and refrigerators for milk and medicines, as well as beach games, toys and coloring books. Plus a complimentary Children's Activity Center is available for children 4-12 years old. Ideal for families with children of all ages!, This luxurious resort offers impeccable service, elegant dining, lots of activities and personal attention. Small Children will enjoy the fantastic Explorer's Kid's Club. The beach also includes water trampoline, "climbing" wall and more. Completely Renovated Brand New Hotel! Excellent sandy beach. Close to shops, restaurants, bars. All rooms Jr Suites. Very nice for couples & Families. KIDS STAY FREE! 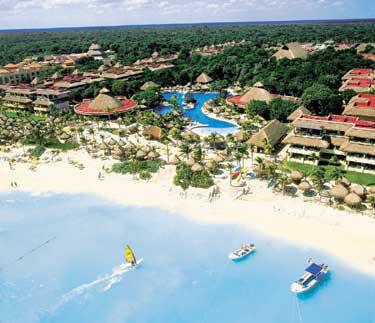 Iberostar Quetzal All Inclusive | Playacar | Riviera Maya This unique hotel offers 350 rooms in individual Bungalow style buildings. Keeping in perfect harmony with the ecology and environment, each Bungalow is surrounded by 28 acres of lush and exuberant tropical gardens. The pools encompass 2 acres of water, featuring one standard free flowing pool with a center island covered with palm trees and jacuzzi, one activities pool, quiet pool for adults only, and kiddie pool. 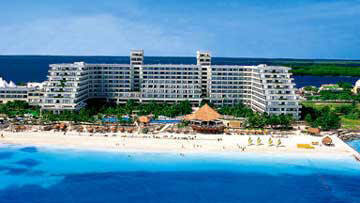 The Barceló Maya Colonial Beach, is located right on the best beach in the Riviera Maya! . 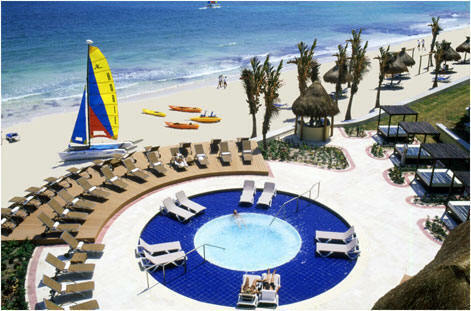 The resort offers great service, fantastic beachfront pools & a great kids club & kids pools! 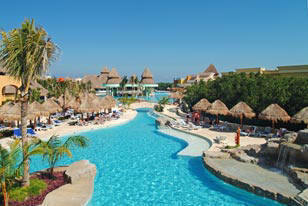 A vacation to Barcelo Maya Colonial & Tropical will be a truly unforgettable one! Offering a wide array of personalized amenities and a friendly atmosphere, this inviting all-suite hotel has something for everyone. Spacious guest suites blend a mix of colonial and modern styles with spectacular ocean and pool views and a private balcony, while the state-of-the-art marina, kid’s club and delicious dining options are sure to please. KIDS STAY FREE! 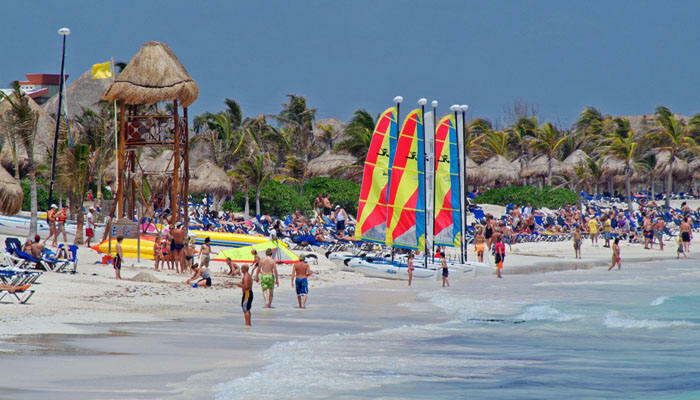 Grand Palladium Riviera & White Sands All Inclusive | Riviera Maya Grand Palladium White Sands and Riviera Resort & Spa is built on an enormous estate right on the sea front and near superb access to the beach. 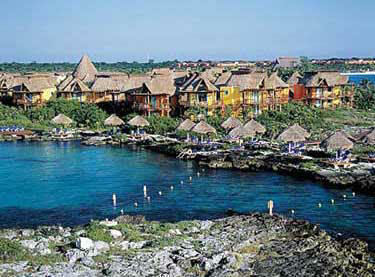 Located only 20 minutes from Playa del Carmen and 7 minutes from the village of Akumal. It shares facilities with the Grand Palladium Colonial Resort & Spa and the Grand Palladium Kantenah Resort & Spa, except for the VIP area “The Royal Suites”. This beautiful resort is superbly integrated with the preserved tropical vegetation. Foot paths weave through the lush floral and fauna to five freshwater pools, one salt water pool and to a pristine white beach and Caribbean oceanfront. ALLOWS 3 KIDS IN FAMILY SUITE ! BEST VALUE FOR THE MONEY! A great choice for families and adults, this deluxe resort features spacious guestrooms, a fine selection of restaurants and bars, a discotheque, a fitness center and spa, and an exciting kid’s club and teen’s club. KIDS 6 & UNDER STAY FREE - ALLOWS 3 CHILDREN IN 1 ROOM! One of our longtime favorites on the bay side. 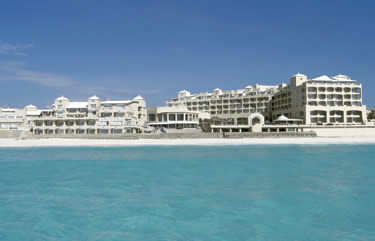 Luxurious and elegant, with comprehensive range of facilities and welcoming Caribbean atmosphere. Suits discerning clientele of all ages. KIDS STAY FREE! 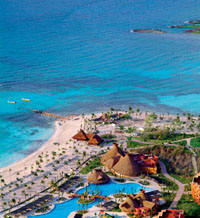 Among the best all-inclusives for families with kids. Renowned for good food and children activities. Up to two children under 12 free when staying in same room with parents! Special Suites for adults only, perfect for couples.